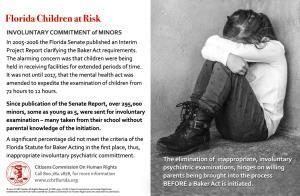 The most recent report shows that there were more than 199,000 involuntary psychiatric examinations in Florida and that over 32,000 of these initiations where on children, some as young as two years of age. CCHR is continuing a campaign to educate Floridians on mental health rights so they can protect themselves and their loved ones from abusive use of this law. The abusive misuse of a law which allows a person’s rights and freedoms to be taken away prompted the Citizens Commission on Human Rights1 (CCHR) to launch a campaign in 2015 to educate families, lawmakers, law enforcement and school districts on mental health rights. According to CCHR, almost 200,000 families have been informed of their rights since the start of the campaign. 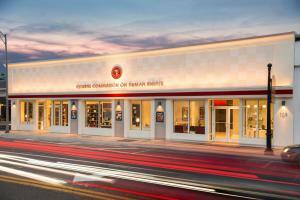 “The abusive use of a law that allows a person of any age to be taken into custody against their will when the legal criteria for doing so are not met is a human rights violation,” said the president of CCHR Florida, Diane Stein.